January 31, 2007  Twenty years of programs, two hours a day, every day. That's around 45-thousand performances, recorded in places as remote as alpine ski villages in South Korea, to the great cathedrals of music in Paris, to chamber music festivals in the hills of New Mexico, to NPR's own Studio 4-A. It's impossible to squeeze 20 years into two hours, so here are some sweet memories, thrilling performances, and even a few flukes. January 29, 2007  On Not Too Late, Jones and her band — including her boyfriend and a woman she met at band camp at age 15 — craft a pleasant and accessible mix of ballads, jazz and country-tinged pop songs. January 29, 2007  Lead singer, songwriter and guitarist Colin Meloy is part of the indie pop quartet The Decemberists. The group hails from Portland, Ore. Meloy is known for using "10-dollar words" in his songs, and for "creating character studies that wouldn't sound out of place in a Victorian novel." January 28, 2007  Bethany & Rufus play their own style of traditional American tunes on the new recording 900 Miles. The duo features Bethany Yarrow singing and Rufus Cappadocia playing cello. January 27, 2007  Spring Awakening is winning critical praise as a fresh interpretation of the Broadway musical. Based on a 19th-century play, the angst-ridden teen musical defies convention by dealing with tough topics and raw adolescent feelings. January 24, 2007  The album combines Cuban sounds with well-known musicians to create a unique fusion of pop and world music. For the series' first release, the Cuban band Buena Vista Social Club laid down new instrumental tracks that blend and engage with popular songs from Sting, Coldplay, Radiohead, Jack Johnson and more. January 23, 2007  The classical music press has been holding a deathwatch for decades. Why? Low ticket sales, crippling deficits and a slow fade from radio may signal a waning interest in Bach, Beethoven and the rest of the greats. Dana Gioia, chairman of the National Endowment of the Arts, and American composer John Corigliano talk about whether classical music is in crisis. January 23, 2007  When Led Zeppelin broke up in 1980, it left fans dazed and confused. 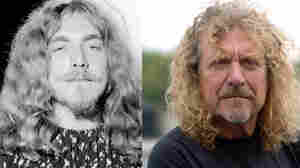 For Robert Plant, it created the challenge of going solo after being so closely identified with one of rock's biggest acts. January 22, 2007  Modern life is stressful enough with job issues, cell phones, road rage and super-caffeinated coffee. But Philadelphia-born jazz bassist Christian McBride believes "being cool" leads to a happier and more productive life. January 20, 2007  George Gershwin's "Second Rhapsody" isn't nearly as well known as "Rhapsody in Blue," or "An American in Paris." But music professor Howard Pollack thinks it's one of Gershwin's most complex, interesting works. January 18, 2007  Arnold Steinhardt is the author of Violin Dreams, a memoir about his ultimate challenge: playing Bach's Chaconne, a 15-minute-long piece for solo violin. Steinhardt has been chasing the Chaconne for more than 50 years. January 17, 2007  The Boston-based Dresden Dolls are on the verge of making it. They have a record label deal, draw ever-larger crowds and open for big-name bands. Still, just making enough money to survive remains a struggle. January 15, 2007  Alice Coltrane, widow of the legendary jazz musician John Coltrane and a giant of the jazz piano in her own right, has died. She was 69. January 15, 2007  Being the principal violist of the New York Philharmonic isn't exactly glamorous. But Cynthia Phelps says her section plays a "subtle but exciting" role in the texture and feel of the music. January 14, 2007  The nine-time Grammy winner and innovative music producer has been behind some of the most successful records of the last 40 years. Ramone's short list of artists includes Frank Sinatra, Billy Joel, Ray Charles, Madonna and Rufus Wainwright. Hear an interview about his new book.